Rick retired after working for more than 30 years as a biologist and botanist in California for The Nature Conservancy, California Department of Fish and Wildlife, California Energy Commission, Department of Parks and Recreation and California Native Plant Society. Rick also worked as a botanist for the Bureau of Land Management in Wyoming. He is also a photographer and explores big cities with a camera and then prints his images and makes photography books. Rick and his wife, Linda, a retired librarian and spinner/weaver, moved to Port Townsend in 2015 and decided that the Olympic Peninsula is their forever home. 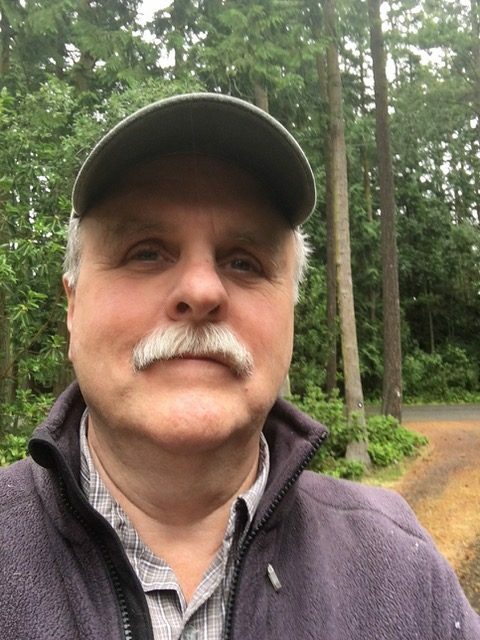 Rick enjoys attending Jefferson Land Trust Conservation Projects Committee meetings and site visits and also volunteers for the Northwind Arts Center.